Jelly Bean. DSH Black Tuxedo male 3 month old kitten. A sweet by shy little guy. Loves attention. Will need a little time to adjust to new environments. He would love to go to a home where there is another cat friend. Neutered, revolution treatment (deworming), current on 4-way vaccination, rabies, & micro-chip. $65 Adoption fee. Can you make room for one more? 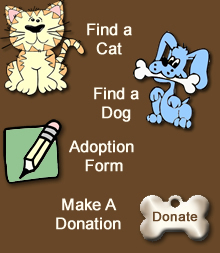 Kitties like to be with a playmate, ask about adopting to be a companion to your current cat.